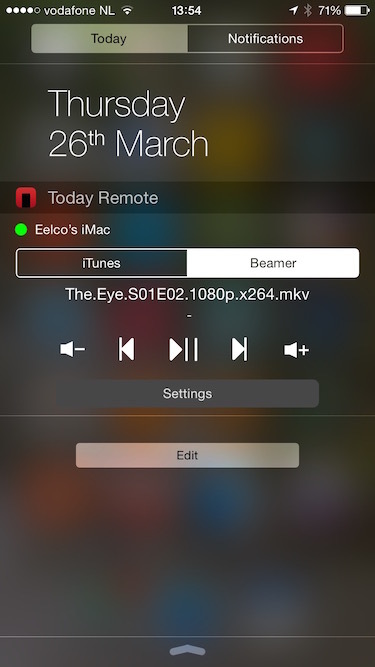 Beamer — Is there an iOS remote app for Beamer? The classic remote app that supports many, many apps. Including Beamer! 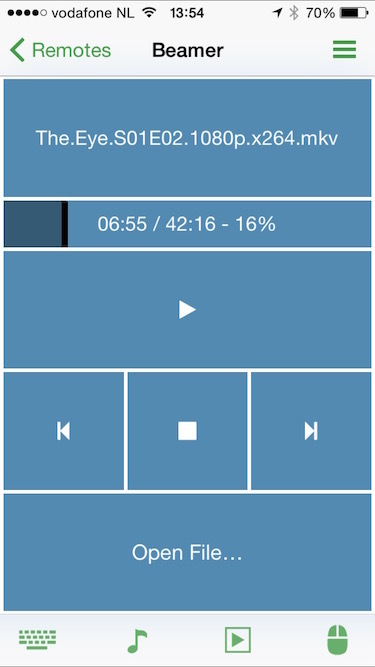 Launch Beamer from Rowmote and play/pause videos or skip to the next or previous movie. Note: the AirPlay menu in Rowmote controls AirPlay mirroring, not device selection for Beamer. The quickest way to control OS X media playback remotely, from the Today view in Notification Center. See what&apos;s playing and control Beamer with play/pause and select the previous or next movie. A very feature-filled remote app to control many apps. 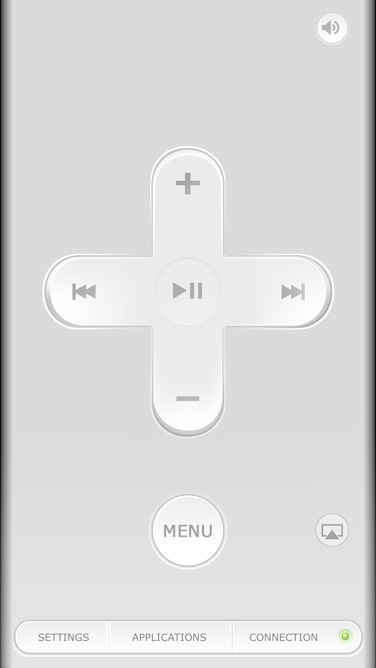 With the Beamer remote you can play/pause, control the playback position, select previous or next movie and even open new movies and subtitle files. Do you want your favorite remote app to support Beamer? Let them (and us) know!